During the making of Mungaru Male, none in the crew had any clue about the film’s significance. The tale of love and sacrifice went on to become one of the biggest hits of Kannada cinema ever. Mungaru Male breathed life into the Kannada film industry. Film buffs who had given up, flocked to the theatres, again and again, to watch Ganesh and Pooja Gandhi in a film remarkable for its fresh storytelling. 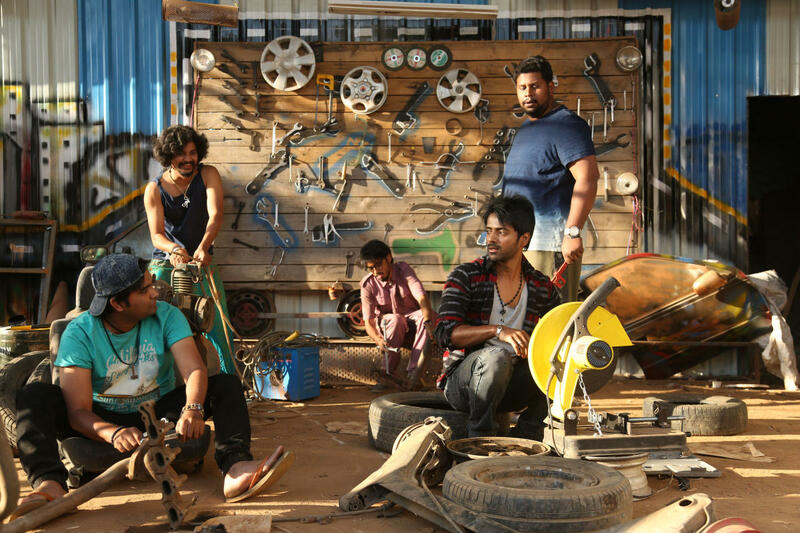 Many from the 2006-starrer still carry the prefix ‘Mungaru Male fame.’ Ahead of the release of Panchatantra, however, its director is still known just as Yogaraj Bhat. The director has backed up his classic with a clutch of quality films to create an identity for himself. Panchatantra features newcomers in the lead and is set against the rivalry between two car and bike racing groups. Since Mungaru Male, Bhat has come a long way, being a driving force of a new kind of Kannada cinema. Mungaru Male ends on a poignant note, but it is what leads up to the heart-wrenching climax that makes the film so well liked. Free from jaded formulas and cringe-worthy moments, the film made Bhat the director he is today. Bhat’s films are joyous family get-togethers with unending banter. You feel at home and get enveloped in an array of emotions. You eventually feel closer to yourself. Bhat is often judged as a director obssessed with quirky dialogues, picturesque backdrops and good music. But that’s just the surface. It’s like saying Mani Ratnam is a master of romance. If you feel a perfect plot is everything, Bhat isn’t the one to deliver it. But then, at the same time, his films aren’t abstract either. There is a method to his madness. Bhat’s films are about moments. The randomness of everyday life is made watchable by fascinating characters. The style is similar to the slice-of-life approach that Sathyan Anthikad has brought to Malayalam cinema. His films do drive home messages, but they are subtle and never heavy. He debates sanity in Manasare, exposes the harsh truths of conservative families in Pancharangi, and the value of education in Drama. In his career, he hasn’t squeezed in an item song, or placed an annoying urban heroine or ‘cute’ female friend of the protagonist in his narratives. Women in his films are progressive, sensible, ambitious and scene-stealers. Soumya (Daisy Bopanna) in Gaalipata is a widow who is committed to a cause: teaching Kannada to village children. Radha (Neetu) practises Ayurveda and oversees the family’s areca nut farming. Deepa (Deepa Sannidhi) in Paramathma can play multiple instruments. Jummi (Priyamani) in Dana Kayonu is a village belle aspiring to be a police officer. But undoubtedly, the best of Bhat’s writing is seen in Mugulu Nage. It is difficult to find a Kannada film heroine refusing the hero’s marriage proposal matter-of-factly, and caring even less to justify it. Mugulu Nage reflects Bhat’s maturity as a film-maker. Despite the seriousness at their core, his female characters are highly engaging and fit into narratives mainstream audiences find easy to accept. Bhat’s heroes often come across as carefree motor mouths. Look closely, and you see them trying to find peace within themselves. Bharath (Diganth) in Pancharangi wants to be free from the archaic beliefs that rule his family. Param (Puneeth Rajkumar) in Paramathma follows his heart, and goes wherever it takes him. Bhat’s quirky dialogue writing can bring the house down. But his brilliance lies in the clever use of prose and poetry. Thanks to this ability, you get memorable scenes, like the monologue in Mungaru Male’s iconic rain scene, the climax in Gaalipata, and the break-up in Paramathma. Gaalipata, in fact, shows Bhat’s mastery over dialogue writing. This unmissable film shows Bhat at the peak of his powers. Bhat’s passion and creativity was matched by Jayant Kaikini (writer-lyricist) and V Harikrishna (music director) and the trio has enjoyed an enviable level of success. Vasthu Prakara was Bhat’s only blemish. He thought big but the result was hollow. One feels Bhat can be more ambitious, at least in his stories. He showed his serious side in Manasare and in the highly underrated Dana Kayonu. But like his heroes, he is a happy-go-lucky man who, when not directing, is contented with his success as a lyricist. His role as godfather to many talents is also well known. Panchatantra’s promotional videos aren’t enticing. It’s a Bhat film, so there is curiosity. Even if it fails, Bhat will remain one of Kannada film industry’s biggest assets today. - Debut film: Mani. Second film: Ranga SSLC. - His Mungaru Male ran for 460 days, collected Rs 50 cr. - Manasare won state award for second best film. - Gaalipata, Pancharangi, Manasare, Drama ran for 100 days. - His latest, Panchatantra, is about racing.